With numbers like these, it is no wonder so many companies are working on products and services to help defend against cyber attacks. Multi-factor authentication (MFA) provides an added layer of security by helping ensure that the end user is who they claim to be. Since attackers can easily steal credentials, MFA helps protect organizations from illicit logins by requiring an additional login for users through a mobile application as an extra layer of security. KryptCo’s goal is to make MFA easy on the end user. Founded in 2015, they built the Krypton app to take care of the second authentication factor with strong cryptography. There is no need to type in six digit codes that arrive through SMS and no struggles to find approval notices; the app handles the process for your end users. Uptycs is an analytics platform that gives security professionals a detailed look into the security posture of their organization, translating business requirements into relational databases. Founded in 2016, Uptycs uses a single open source agent with a scalable analytics platform to provide a unified view for fleet visibility, intrusion detection, vulnerability management and compliance across Linux, macOS, Windows, containers, and cloud workloads. Its product portfolio addresses infrastructure operations, IT administrators, compliance officers and incident response teams. Uptycs even offers a free training course on using its query tools to track a simulated intrusion. The team at CyberSaint offers a platform called CyberStrong that relies on artificial intelligence (AI), machine learning and the National Institute of Standards and Technology (NIST) Cybersecurity Framework to help companies address and remediate weaknesses in their organizations by making recommendations for corrective action and providing actionable reports to key stakeholders. By leveraging the NIST-based rules engine, organizations are able to score their security postures through the continuous assessment of applications, vendors, internal systems and environments. CyberSaint was founded in 2014 to help companies build their cyber resiliency by identifying low cost, high impact opportunities for improvement. There are so many zero-day threats that an organization faces on a daily basis and the human response simply can’t keep up. Founded in 2014, empow goes beyond the traditional, rule-based Security Information and Event Management (SIEM) platform where humans are responsible for writing up the rules that govern the platform’s response to threats. Instead, empow’s platform uses an AI-driven approach and a vendor agnostic security language to classify the intent of an event, validate an attack and prioritize and automate the appropriate response. Not only does it help spot threats that traditional SIEMs may miss, but it also provides insight into which tools are performing and which ones may need improvement. The average person receives 16 malicious emails every month, according to Symantec’s Internet Security Threat Report (ISTR). Email remains an effective way to transfer malicious files and links. Phishing has become more sophisticated as well, sending the victim to cloud-based file sharing and storage services and using other communication apps to deliver the malicious payload. Founded in 2015, Perception Point is a cloud-based platform that aims to prevent attackers from sending malicious files and links directly to their victims. It also keeps users safe from malicious activity transmitted via cloud-based applications and other communication tools. By using advanced engines to scan traffic in any channel, Perception Point helps protect against one off the most common threats that organizations face. Data privacy laws affect every organization. Whether it is HIPAA, GDPR or PIPEDA organizations must ensure that they know where their data is at any time. Founded in 2015, Cyberhaven provides automated data tracing for the monitoring and mapping of end-to-end data flow, regardless of format and storage type (on-premises or in the cloud). For compliance concerns, real-time reports keep key stakeholders in the know at any given moment. On the security side, your team can be alerted when there is a break in the data flow that may possibly violate any of your company policies. 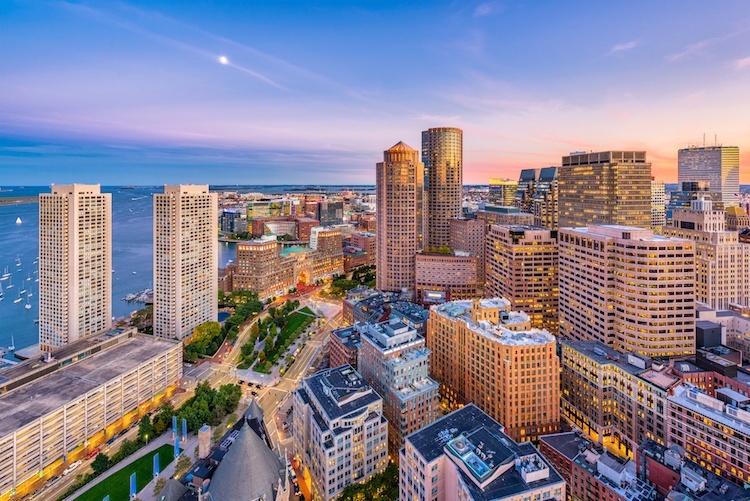 Boston’s cadre of cybersecurity companies have made an impact in a strong and growing industry. While these solutions help protect against the growing threat landscape, you can find the ones that best help secure your organization by reviewing your needs and business priorities. If you need assistance implementing and integrating the products mentioned above, the right partner can help make that task much easier.